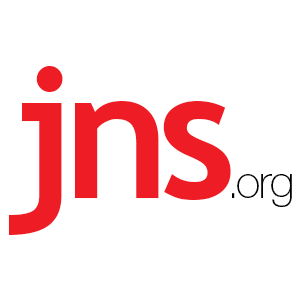 Knesset Committee Urges Change to Obama Deal on Aid to Israel - Breaking Israel News | Latest News. Biblical Perspective. Knesset members on Monday told Israeli Prime Minister Benjamin Netanyahu that up to 22,000 workers in Israel’s defense industry could lose their jobs to the tune of a whopping $1.3 billion in annual losses if he does not convince U.S. President Donald Trump to reverse a clause in a military funding deal signed with the United States in 2016. The aid package signed between Netanyahu and President Barack Obama provided Israel with $38 billion in military assistance for 10 years, starting in 2019. But one of the clauses would gradually reduce and then eliminate the ability for Israel to spend any of that funding in the Jewish state. Up until the signing, Israel was able to spend 26.3 percent of the funds in Israel. The Knesset members expressed concern that the destruction of Israel’s military industry would threaten Israeli independence in times of emergency and make Israel reliant on America. They urged the prime minister to discuss the clause with Trump in the hopes that the more sympathetic administration would amend it to enable Israel to spend the aid money in country. A representative of the 200 local companies involved in building Israeli-made Merkava tanks and Namer armored personnel carriers told the committee that the aid deal would slash almost 40 percent from the Defense Ministry’s production budget in Israel. A representative of the Israeli aircraft industry said 95 percent of the workers, suppliers and subcontractors for its production were in Israel.